Autumn is a beautiful time of year when the leaves change colors to brilliant yellows, oranges and reds. But those leaves eventually fall off the trees, piling up on roofs, yards and anywhere else they land. Leaves, twigs and trash floating in the air can go down an uncapped flue. This debris can build up in your chimney, causing a chimney fire if a spark flies up the flue and ignites the debris. Also leaves and debris can build up behind your fireplace damper, making it difficult to open. The metal mesh on the chimney cap will stop falling leaves and other debris from getting into your flue and clogging it. Large sparks and burning ashes from fires in your fireplace can travel up the flue and out the chimney if it’s uncapped. These sparks or ashes can land on dry, fallen leaves, igniting them and causing a roof or yard fire. The wire mesh around the chimney cap, also called a spark arrestor or spark deflector, helps to keep these sparks contained within the cap until the flame dies out. This is why it’s important to have chimney caps installed on all your home’s flues – furnaces, water heaters, boilers and especially fireplaces. A chimney cap is a rectangular or round structure that features side screens and a flat or peaked metal roof on top of it. The cap mounts directly over the chimney or flue. Caps can be made of steel, stainless steel, copper or aluminum. However, stainless steel is preferable since it can withstand constant exposure to wind, rain, snow, smoke and other conditions. Also stainless steel doesn’t readily rust like other materials, so homeowners don’t have to worry about stains on their chimney and roof. At T.J.’s Chimney Service, we specialize in chimney cap installation, and our high-quality stainless steel caps come with a lifetime warranty. A chimney cap can save you potentially thousands of dollars in fire damages. Let us give you peace of mind by installing a chimney cap on your home’s uncapped flue. Contact us today! Have you heard flapping or scratching sounds coming from your chimney? You may have a bird or animal trapped inside your chimney. Birds, bats, raccoons, squirrels, cats, snakes, barn owls, ducks and geese have all been known to fly, crawl, slither or fall down an open flue. And dealing with these birds and animals can be stressful, not only for you, but for the bird or animal as well. Bird mite, bed bug and/or meal worm infestations. Exposure to a possible rabid, ferocious animal. Possible contact to raccoon feces which can contain the eggs of a roundworm parasite, bayliscaris procyonis. Exposure to this parasite can be deadly to people. Damage due to live birds and animal getting into your home. Horrific smell caused by dead birds or animals. Fly infestation because of dead birds or animals. Nesting materials can cause a fire hazard. A blocked flue due to nests, debris and dead birds or animals can lead to a fatal carbon monoxide buildup when the furnace is turned back on. If you discover birds nesting in your chimney, don’t disturb them. Some birds, like chimney swifts, are protected by law. Once they have left the nest, our professional chimney sweeps at T. J.’s Chimney Service can remove the nest. If you find a live wild animal in your flue, don’t try to get the animal out yourself. You risk injury and possible exposure to rabies if you get bit. Contact a licensed animal removal specialist to remove it. To prevent animals and birds from getting into your chimney flue, a heavy-duty, stainless steel chimney cap with a protective screen can help keep these critters out. But a chimney cap installation is best done by professionals, like T. J.’s Chimney Service, located in Greenfield, IN. Our knowledgeable chimney specialists can select the right-sized cap for your chimney and install it for you, saving you the time and hassle of finding the right-sized cap, having the proper tools, climbing up and down ladders to the roof of your home, and having the know-how to correctly perform the job. Plus our high-quality chimney caps carry a lifetime warranty and require little maintenance. Contact T. J.’s Chimney Service today at 317-455-5310 to schedule your chimney cap installation. With the rainy spring weather we’ve been having, have you heard or seen water dripping down your fireplace? Or, maybe you’ve seen a water spot on the ceiling or wall by your fireplace? These are warning signs of a possible chimney leak that can cause serious damage to your home. Your chimney doesn’t have a cover to keep the rain out. Instead it just falls straight down your flue. Water contact can cause chimney materials, like brick, concrete, tile and metal, to deteriorate, leading to exterior and interior leaks. The chimney crown is the top cement/concrete surface on a masonry chimney. Cracks can occur in the crown due to structural shifts in the chimney and from cement or concrete shrinkage when it was originally installed. Once a crack occurs, the repeated freezing and thawing of water in the crack can cause it to expand, allowing water to seep inside the home. Fumes from a gas fireplace have moisture in them, which can cause condensation to form inside the flue that soaks into the bricks, keeping them moist. Additionally, during the summer, condensation can form inside your flue when cool air-conditioned air combines with the warm air outside. During construction, chimney flashing (typically made of an aluminum material) and waterproof tar seal the space between the chimney’s structure and the roof. 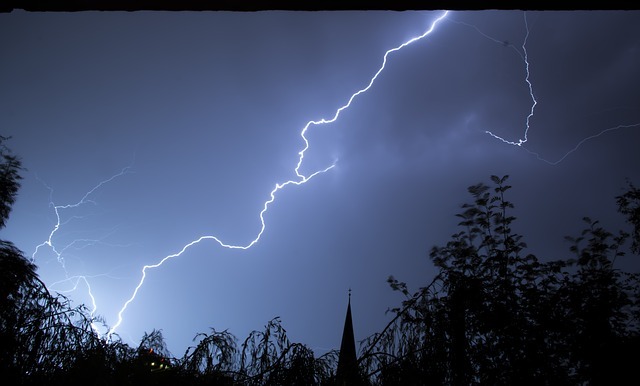 Over time, leaks can occur when the flashing or tar wears away. Mortar and bricks can absorb water, as well as develop cracks due to freezing and thawing, which can lead to leaks. Also, if your chimney is located on a shady side of the house, the bricks and mortar can stay wet, never drying out. Eventually, soggy bricks can cause water to seep into your home. against future problems. Call us today! With the sort of weather we have been having it might be time to have your chimney inspected for water damage inside and outside of your chimney. If a cap has been removed there could be moisture buildup inside your fireplace. Debris from leaves and animals may also start to negatively affect your fireplace. Spring is just around the corner and now is a great time to have your chimney and fireplace cleaned and inspected by a professional. A professional will be able to assess what your needs may be to repair any damage and get your fireplace ready before the next fall and winter season hit again. We offer a variety of services that will ensure that your fireplace is working properly and will keep your family safe. A proper cleaning is always the best route to go to begin. It is imperative that you have any debris or creosote buildup removed. Creosote is highly flammable and must be removed to prevent any fires from igniting in your fireplace. Next you’ll want to have a professional come out and waterproof and make any necessary repairs. This would include repairing leaky flashing to tuck-pointing and masonry repair to relining the flue and chimney. During an inspection if there is water damage this can also be fixed. This situation can easily be remedied by reconstructing the back walls of the fireplace and returning them to their original pristine condition. We at TJ’s Chimney Service, offer a whole range of services that will help repair your fireplace to its original condition. Some of our repair services include, waterproofing/repair and restoration, rebuilding fireplaces, rebuilding crowns, install chimney caps, and replace chase tops. Whatever your repair needs may be we are always happy to help! If you are unsure of what repairs you may need done we would be happy to talk with you! Give us a call 317-462-4759. What is a fireplace? Most people would answer the question by pointing to their fireplace and saying, “Well, that’s it right there.” But that’s the simple response. In truth, your fireplace consists of several pieces working together. First you have the doors, which are usually glass but can also be metal. The doors close off the fireplace when it’s not in use. Their other function is to prohibit air flow when the fire is done. Next is the hearth, usually made of bricks or some other fireproof material. The walls around the hearth are protected by the surround. Inside the hearth is the firebox, which is where you light the fire. The smoke created by the fire travels up through the flue. The flue is protected by the chimney. 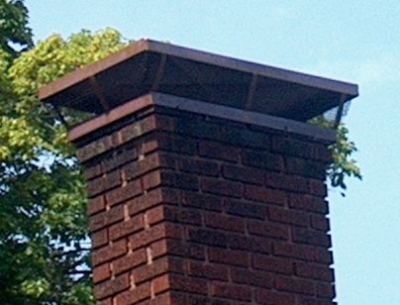 The chimney is what keeps the heat generated by the fire from causing damage to your home. The flue and chimney are connected by the smoke chamber. A vital piece of the smoke chamber is the smoke shelf, which stops soot and other junk from coming back down into your fireplace. Underneath the smoke shelf is the damper. The damper is what keeps cold air from travelling down your chimney and into your home. Your roof is protected from harmful materials generated from a fire by the spark arrester. A chimney cap halts rodents and birds from setting up shop in your flue. The cap can also help prevent moisture or protect from excessive wind. There you have it – not so simple, after all. And all those pieces take time to clean. Is your fireplace ready for the upcoming winter? If not, give us a call today!